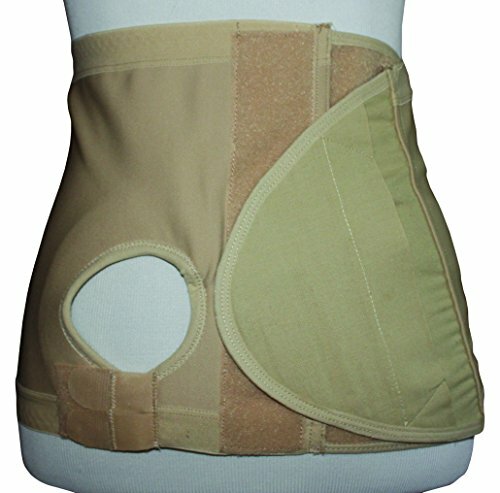 Hernia/Ostomy Support Belt with revolutionary 2-way stretch fabric. Extra Small belts fit abdomen sizes up to 29.5 inches. Small belts fit abdomen sizes 29.5 to 36.5 inches. Medium belts fit abdomen sizes 36.5 to 41.25 inches. Large belts fit abdomen sizes 41.25 to 47.25 inches. Extra large belts fit abdomen sizes 47.25 to 53.25 inches. Extra extra large belts fit abdomen sizes 53.25 to 59 inches. Internal anti-slip pad secures the area around the pouch. Revolutionary 2-way stretch fabric is supportive yet comfortable. Left- or right-sided belts available with optional pouch holes. If you have any questions about this product by Safe n' Simple, contact us by completing and submitting the form below. If you are looking for a specif part number, please include it with your message.